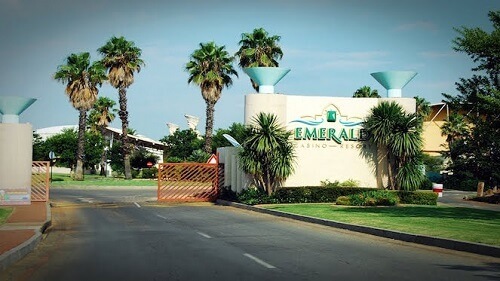 The Emerald Casino is one of the casinos that makes its home in South Africa’s Gauteng province. Located in Vanderbijlpark, Gauteng, it’s only a couple kilometres away from Johannesburg. This makes it easily accessible to many real money casino game players. There is a bush setting at the resort which offers high-quality casino gaming, entertainment and premium hotel services. Popular attractions at the resort beside the casino are the Aquadome water park, Animal World with game drive experiences. There is even a pin bowling alley at the location. The accommodation at the casino is lavish accommodation. Visitors have a wide selection from of a deluxe hotel, bush lodges and river resort. This is one of the best casinos that gamblers can access in the area because of its high standards. This casino has divided the games. Some are in the smoking section and the rest are in the non-smoking area in the casino. This casino is usually open. Only on some days is it not open the entire 24 hours. Games that populate the casino floor are the latest gambling games. 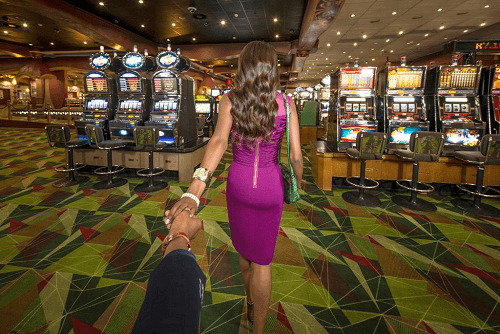 There are over 480 slot machines with amazing slot technology found on the floor. Also, wagering on these machines is very accommodating. It starts from 1c to R50. There is a total of 27 table games and these include roulette, blackjack, progressive poker, baccarat, punto banco, and Texas Hold ’em Poker. This casino is special because it is still one of the few remaining casinos in the country that uses betting shoes for table games. Something that fans of classic casino gaming would appreciate. The betting limits at the casino are among the highest in Gauteng Province. Emerald Casino has a three-tiered rewards programme. It allows players to access emerald green, gold, and diamond rewards. Being a green card holder allows you access discounts on dining, drinks and birthday treats. Gold and diamond card holders get access to the casino’s Prive lounge which offers unparalleled private VIP gaming, cocktail events, entertainment, and promotions. Even more, diamond card holders can stay at the opulent Caesars hotel in the US and UK. There are various types of restaurants at this casino. There are also a couple bars at the casino resort. A new sports bar was recently opened. It offers sports lovers good sporting action on the television. Also, there are a number of casino activities available when you feel like taking a break from the casino floor. There are a couple options to choose from in terms accommodation on this complex. First, there is the Emerald hotel with numerous rooms and which are very luxurious. And then there are ten Emerald bush lodges. These have two bedrooms and other features. Learn more about the best Gauteng casinos with Casino ZA.